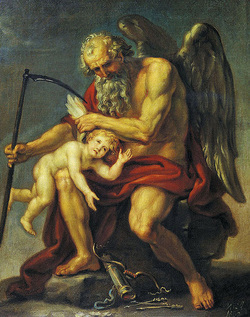 Kronos is a really cruel person, he put his brother into the hell and ate his kid. He married to his sister Rhea. His mother is Gaea, his father is Uranus.